Today we live in an era where convenience is the most critical requirement of any task, keeping in mind this motto MeraCRM team has tried to give it’s users the best they deserve. Are there too many quotations which need revision every now and then? Is it really tedious to make an ample number of changes? We are sure there is. What if we told you that you won’t have to go through the hassle and cut it loose? 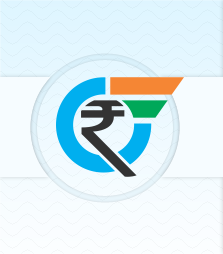 Syncing quotation with product price will save you from all the trouble. It can be done easily, here’s how! 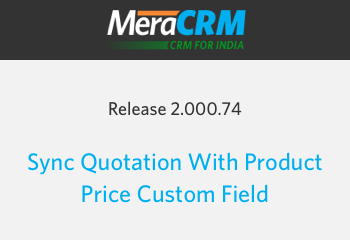 The product price custom field is synced with quotation directly and the changes in the product price will be reflected in each and every module of the system. Prior to that, we have also provided a way to manage your quotations, handling them from the ‘quotation setting’ placed under the Quotations and Invoices tab in general settings. Are there too many products at your end to be managed under just one quotation or does your quotation go through a series of changes? We have a solution for that too. On selecting the ‘Multiple Quotations’ options will let you create more than one quotation at the time of updating. Whereas, on selecting ‘single quotation’, at the time of updating changes will be recorded in that particular single quotation itself. The multiple quotations makes managing quotation easy when there are multiple revisions and updating and there are too many products on your plate. MeraCRM helps you with the highest level of customization and the maximum number of flexibility. Who would have thought of playing with quotations and maintain multiple copies to save it as history would be so easy?